The classic American rec room has been a staple of the home nearly since the invention of the finished basement. Since then, a space in the house dedicated to recreation has been a common feature on the wishlist of homeowners. Luckily, the days are gone that the rec room and a musky, wood paneled basement automatically go hand-in-hand. These days, such spaces can be found in all manner of locations, and with all manner of features. Here are a few rec room ideas to consider. 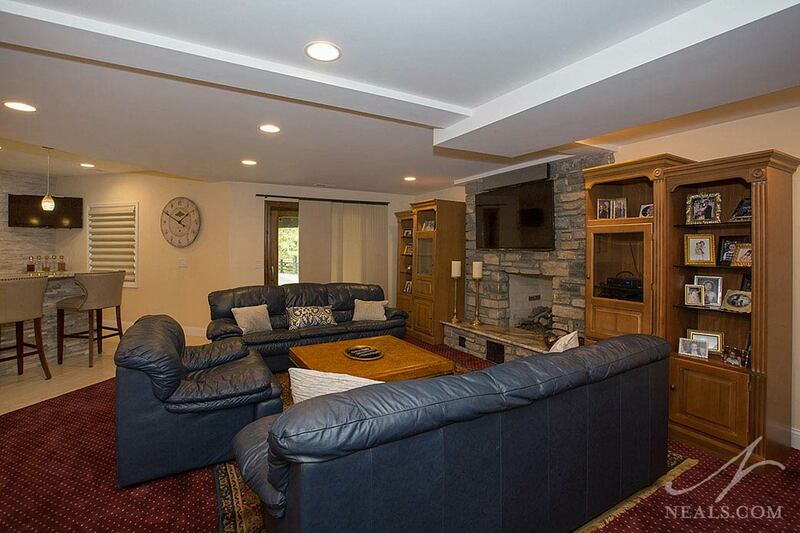 This lower level remodel in Western Hills made space for several classic rec room features. The pool table has been and still is one of the main inhabitants of a room dedicated to in-home recreation. 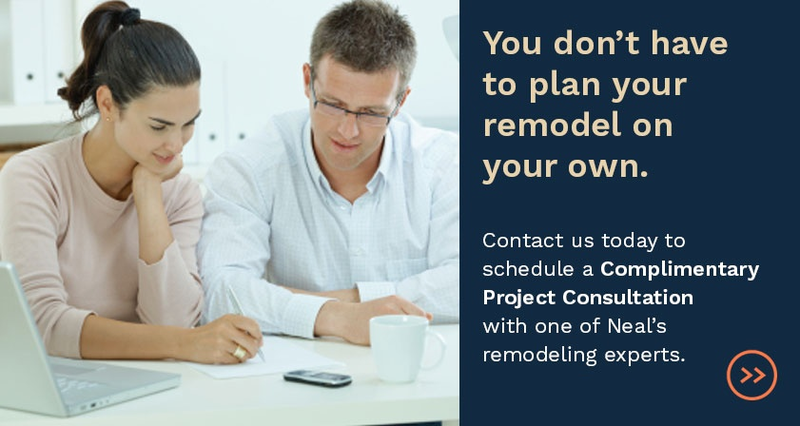 Pool or billiard tables are investment pieces, and have fairly specific space (and sometimes floor support) needs. 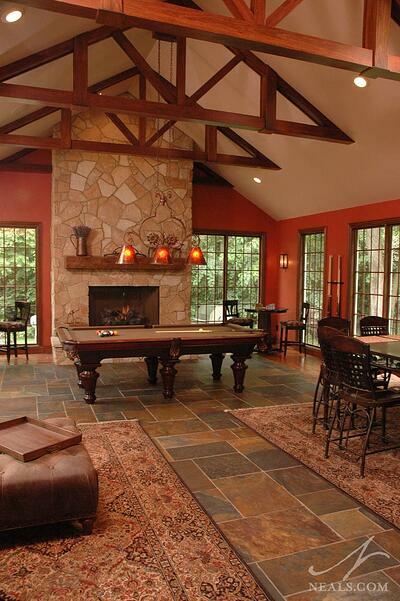 The upshot is that a pool table can create the perfect atmosphere for the rec room- classic, fun, and instantly cool. 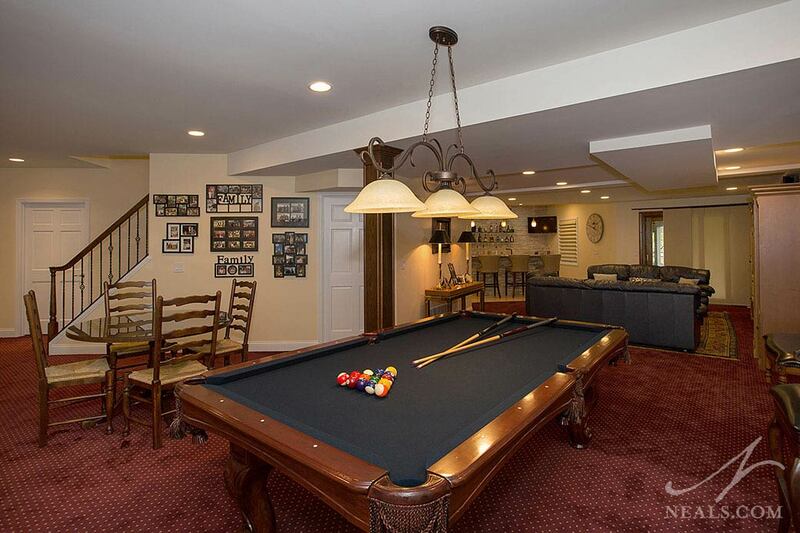 An addition to this Loveland home functions as a rec room with a pool table at center stage. When the pool table is a centerpiece to a room, it's important to not only give it plenty of space to be able to play comfortably, but to also give it enough task lighting and nearby storage for the cues and other accessories. 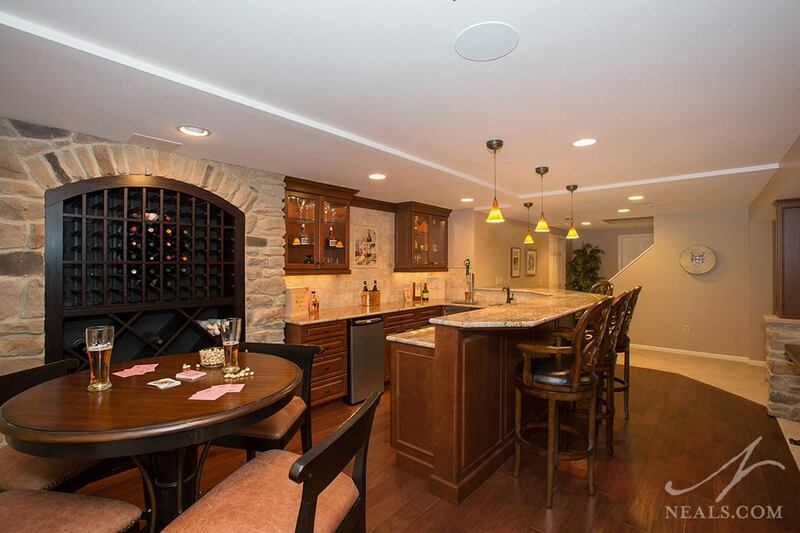 The game table in this Montgomery basement remodel is near the bar, making mid-game beverage refills less disruptive. Old-fashioned poker nights are also a fantastic use of the rec room. While it may not always be poker, card games of any sort are a great leisure activity for the family, the benefit is that it requires little more than a table. 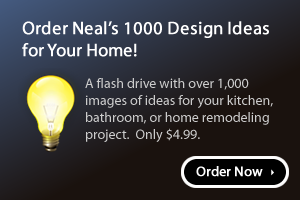 Here again, giving a card table (whether a traditional casino-style table, or something more basic) a dedicated space and task lighting will instantly up your card shark cred. Remember to account for comfort- some games can last quite a long time- by keeping beverages, or other amenities nearby. This Mt. 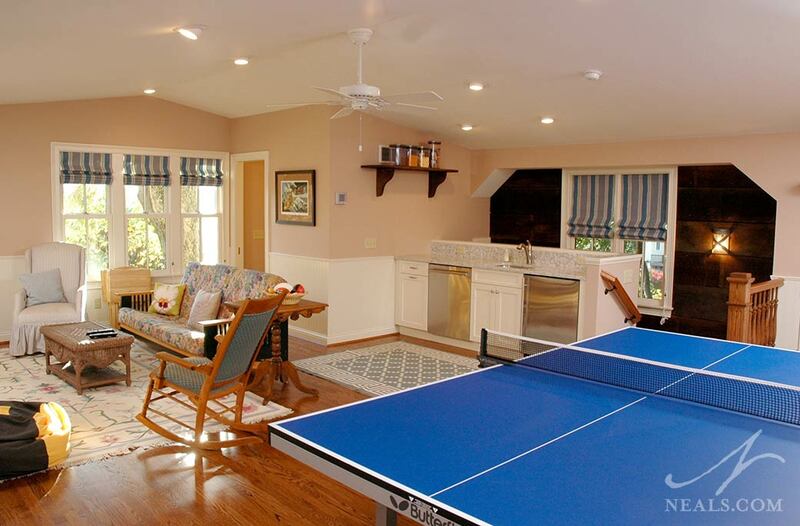 Lookout garage remodel includes a rec room on the second floor, and is perfect for rowdy ping-pong tournaments. Not to be forgotten, ping-pong tables have great rec room history. Especially great for growing families (ping-pong is great for developing good hand-eye coordination), the table isn't that much different in needs from the pool table, with one big exception- out of control ping-pong balls. Be sure that the position of your table keeps in mind the occasional lunge. If you have a folding table, pay attention to how easy it will be getting it from it's storage space to where it can be set up. Comfortable and ample seating around the fireplace and TV make this an ideal rec room zone in this Western Hills remodel. Finally, rec rooms in the modern age are the perfect place for gaming, movies, or watching sporting events. Whether your entertainment set up is decked out with surround sound and the biggest screen, or is much more low-tech, a comfortable and casual den is a welcome feature to many rec rooms. In this space, be sure that your lighting can be controlled easily for different levels, and that a healthy distance for your eyes is possible between the screen and your seating.